Pepper is a 3 year old Labrador Retriever with a big personality. 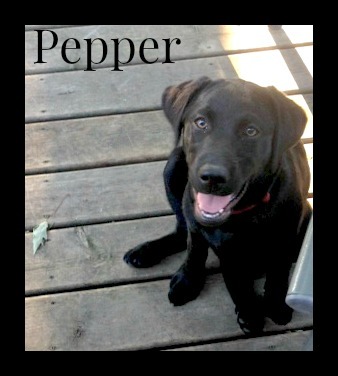 Born April 25, 2014 in Sundridge, Ontario, Pepper was adopted from Magic Paw Kennels. Everywhere Pepper goes she meets other pup parents who have also adopted from Magic Paw Kennels, and she has had amazing feedback about her half siblings and cousins from other litters. 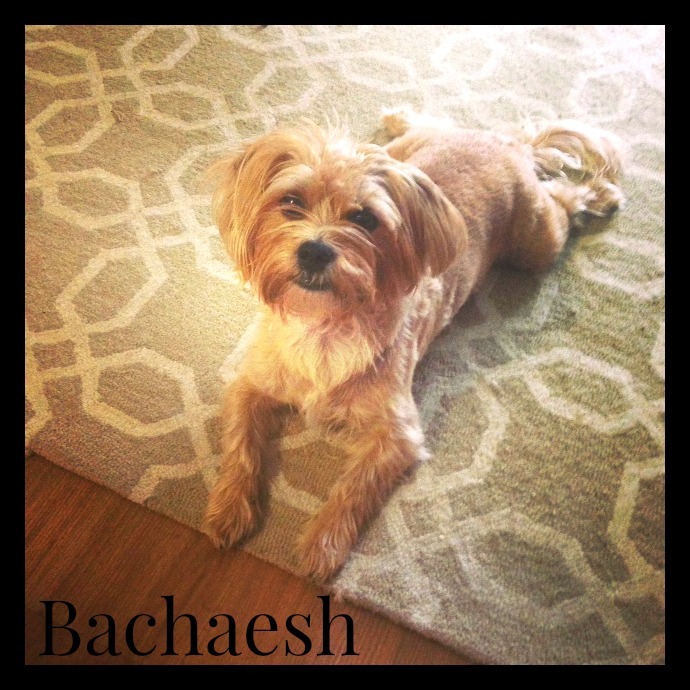 Pepper attended her first puppy class on September 14, 2014, and is looking forward to going back! Pepper absolutely loves the water, and spent the first 2 weeks with her new family swimming in the lake. Pepper loves to run and play with Bachaesh, and to bother Muffin. Pepper is currently learning that her water bowl is not a toy, and that chewing through leashes is not an appreciated practice. Pepper’s favourite toys are her Omega Paw Treat Ball, and her Kong Wobbler. Pepper helps Give a Dog a Bone test products aimed at large breeds and puppies. 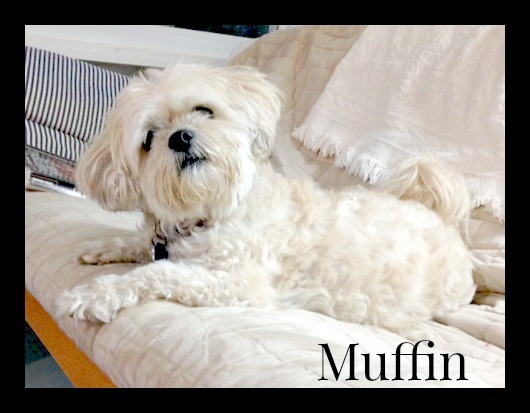 Muffin is a 13 year old Shih-Tzu Poodle cross. She was adopted by Pepper’s parents when her own parents passed away. Though she’s a senior, she’s still feisty! She generally avoids the hyper pup, but will occasionally play with Bachaesh. Muffin is a bit of a picky eater and sometimes needs encouragement (in the form of treats) to eat her regular food. Muffin enjoys filling the role of “watchdog” for the family home, solving her IQ treat puzzle toys, and loves going for walks. As a senior dog with discerning tastes, she helps test products for other dogs in a more laid-back lifestyle.